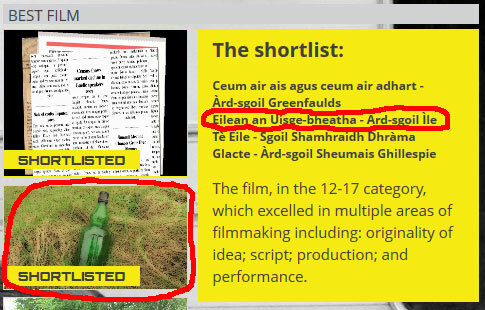 Congratulations to Ross, Fraser, Caitlin, Mairi, Heather and Ìle (as well as their teachers) to the nomination! The will now have to wait for another month (and a bit) before travelling to Glasgow for the FilmG Awards Ceremony in early March. Hopefully they will come back with two awards like their sucessful predecessors. Fingers crossed!